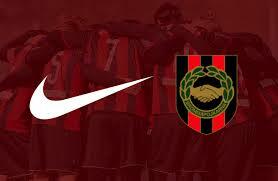 Soccer Club Brommapojkarna is getting a new sponsor, Nike ! And Football Freestyle Team is coming to Stadium Bromma Blocks when the teams is getting the new teamclothes. We are also showing a new product for kids to practice Freestyle, Moon Football. Come and join us to Freestyle and meet Martin Mutumba.